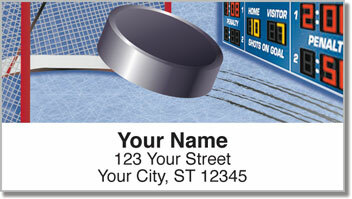 Slap the hard-hitting action of a hockey match on all your outgoing mail with these sports-themed return address labels! Hockey fans and players are extremely dedicated to this fast-paced game of sticks, pucks and ice. Now you can show everyone your loyalty to your favorite sport by ordering this cool design. 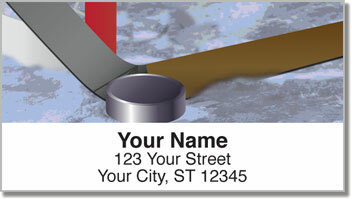 Hockey Address Labels from CheckAdvantage make mailing packages and envelopes easier by cutting down on the time you spend addressing mail by hand. The self-adhesive stickers make for a great assist! 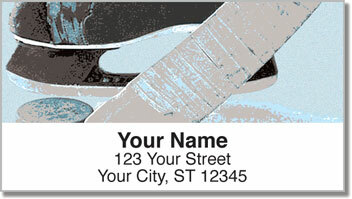 Get your own Hockey Address Labels right now! 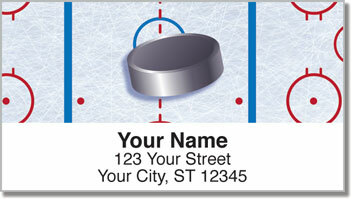 Hockey fans can also order this design in a set of matching personal checks.